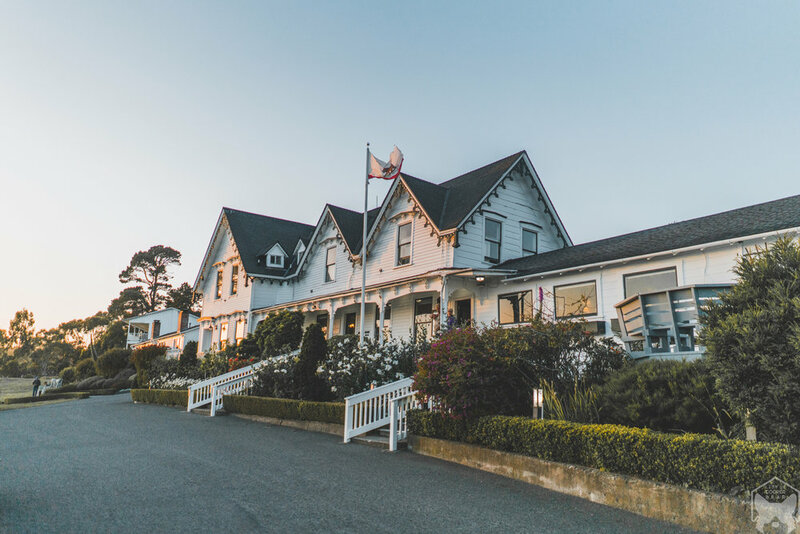 Just 150 miles away from San Francisco, there is charming beach-side village called Mendocino that sits along the ocean-bluff overlooking the blue-sea. 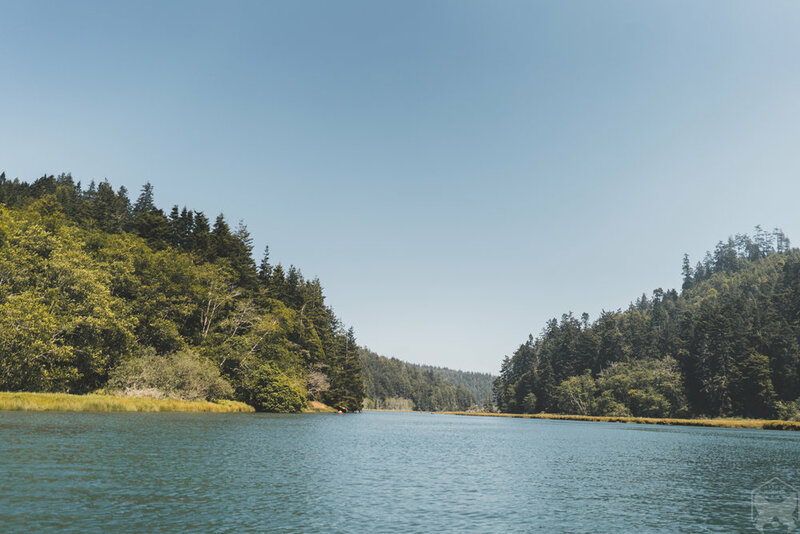 Last week, we were lucky enough to experience Mendocino for a gorgeous getaway; a big thank you to Chalkboard Communication for the invitation! We left San Francisco with Cooper on a Friday afternoon with a suitcase for 2 nights and 3 days. After driving north for two hours on Highway 101, through Sonoma County, we found ourselves corkscrewing and snaking through forested hillsides into Anderson Valley. 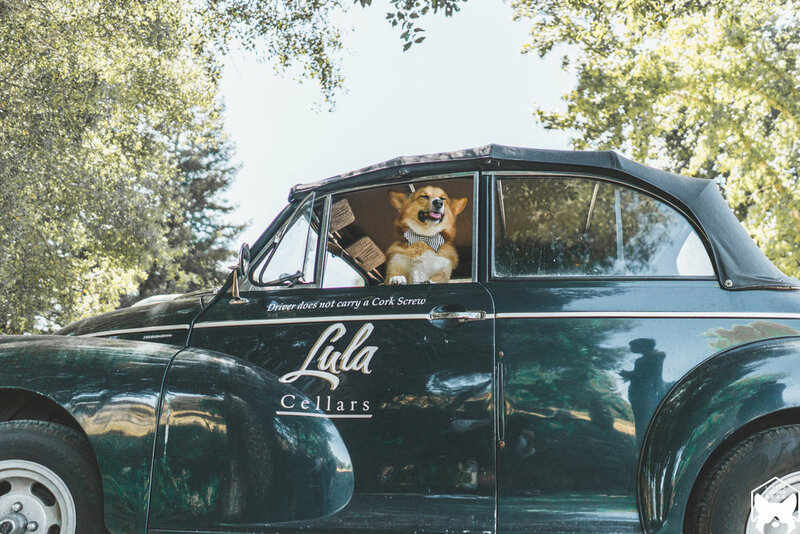 For our first stop of the day, we parked ourselves at a dog-friendly boutique winery, Lula Cellars. Lula is situated at the revered “Deep End” of Anderson Valley and is known for their medaled Pinot Noir. They specialized in dry-farming as a sustainable means to conserved water. 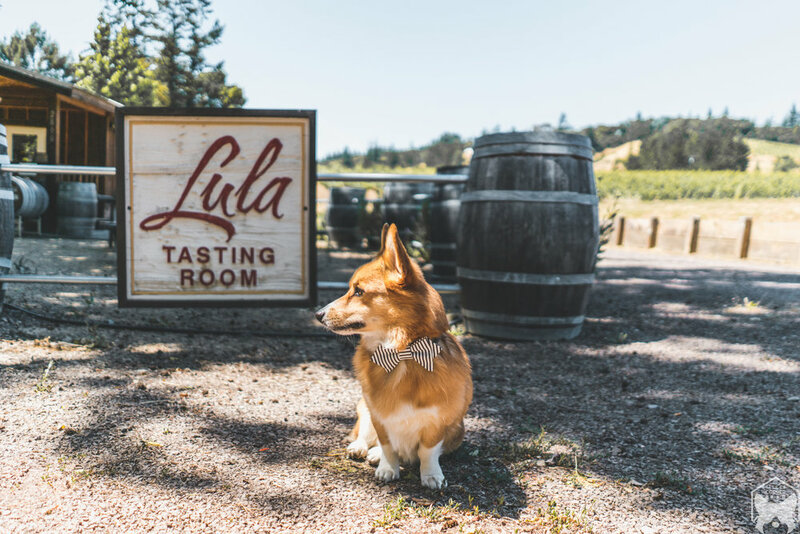 Dogs are always welcome and encouraged at Lula Cellars, no matter the size or age. 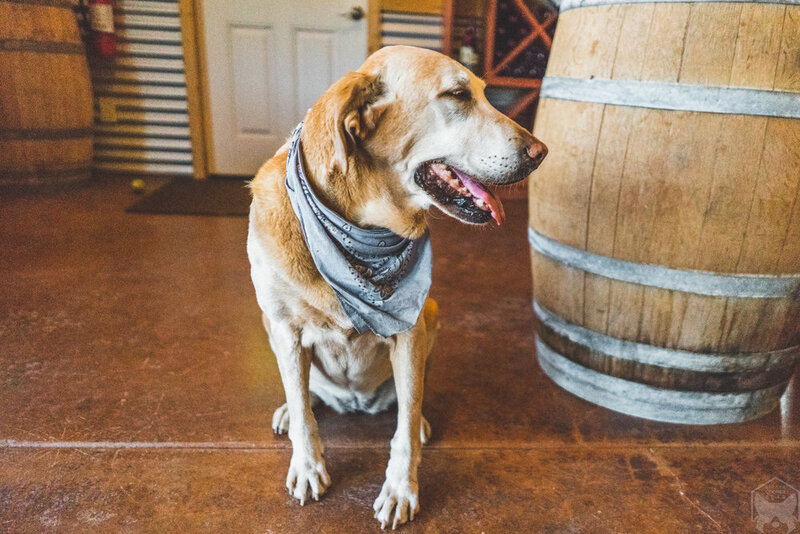 The minute we walked into the winery, we were greeted by their winery dog Honey (who was a total sweetheart)! Honey is a darling 10 year old lab who loves to swim in the vineyard's pond and greet guests as they come and go. The warm hospitality at Lula is impeccable and it made our wine-tasting experience all the better. I highly recommend giving their red and rosé a taste as they were both my two favorites to sip. 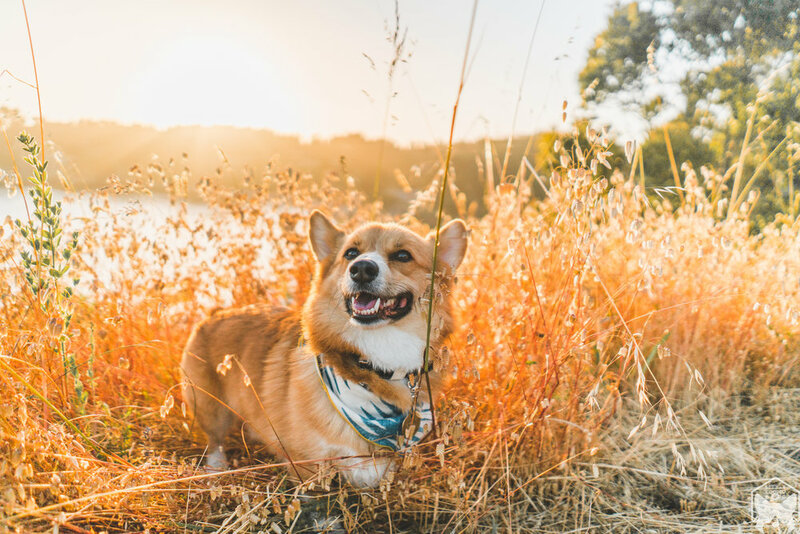 Overall, Cooper had a blast being a vineyard dog for a few hours as he got to explore and run around. Once we were done with our wine-tasting at Lula, it was time to head towards our home away from home along the pristine Golden Coast. For our weekend getaway in Mendocino, we stayed at the Little River Inn in a single story unit with an ocean view. The Little River Inn is family owned and has been around for 75 years! 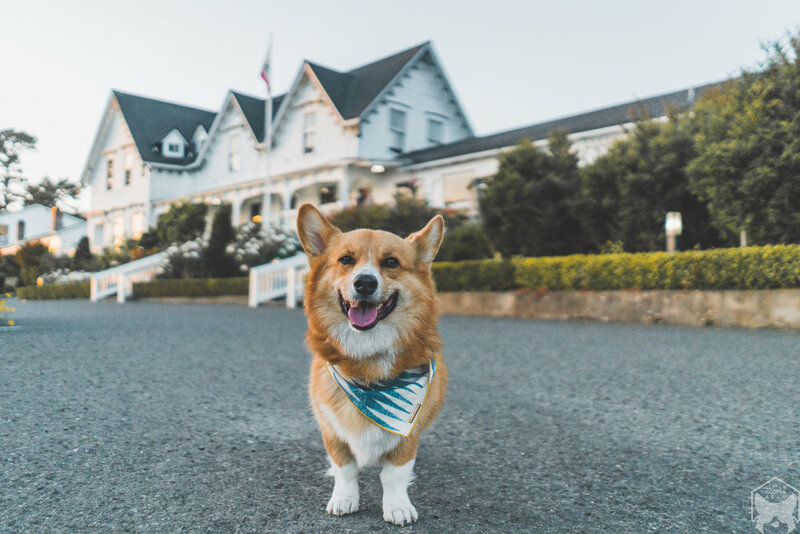 This place is truly an inspiring gem with a Victorian elegance along Coastal California. Upon arrival at Little River Inn, we were blown away with just how gorgeous and exquisite the entire estate looks! I was in complete awe as we checked-in. How did I not know about this gem of a place?! We immediately made ourselves at home after checking-in and Cooper was busy with exploring the new place as he sniffed every nooks and crannies (just in case the housekeeper missed some crumbs). Our unit included a gas fireplace and even had a steam shower! The unit provided all the crucial amenities such as towels, toiletries, coffee, blankets, television, wifi, and a few other items. My favorite feature of our little cottage home were the adirondack rocking chairs out in the front porch that offered a phenomenal view of the ocean. This just couldn't get any more peaceful (but it did). When we were finished with situating and unpacking everything, it was time to head over to the Golf Course for a barbecue dinner with the family who owns the Inn. As we made it to the back of the Inn, we saw a giant grill being fire up and the aroma of smoked food was just tantalizing. It was a beautiful evening with good company and delicious food. The warm hospitality was endless! As the sun started to set, we excused ourselves and said good night for the remainder of the day. We moseyed over to the front of Little River Inn to catch a spectacular sunset along the coastline. 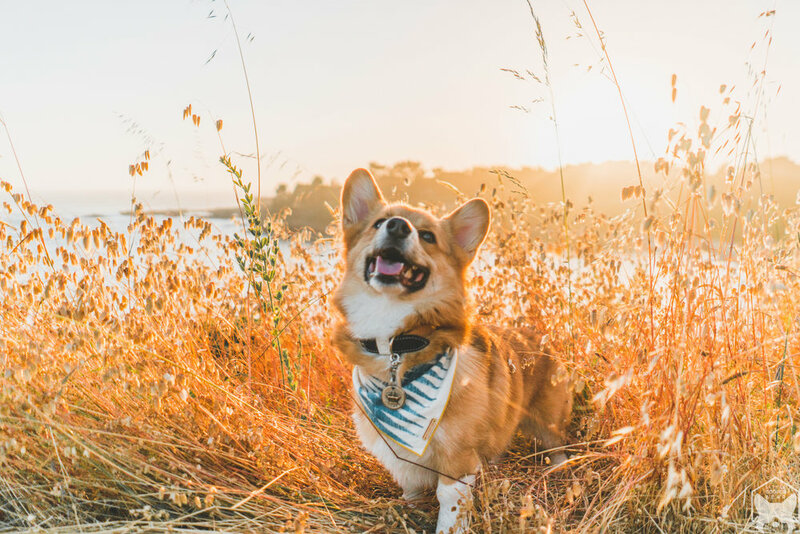 They don't called it the Golden Coast for nothing! And with that, we called it a day. The next morning I woke up refreshed and replenished in our cozy little cottage by the sea. I was long overdue for a good night sleep and after knocking out from all the activities on Day 1, I was feeling energized and exuberant! We ordered room service for breakfast and enjoyed our eggs benedict with hash browns out on the front porch. I love how I was able to hear the bird chirping in the morning with the sound of waves crashing nearby. For our first activity of the day, we drove to Fort Bragg for a ride on the historic and world famous Skunk Train. Yes, this is a dog-friendly train! 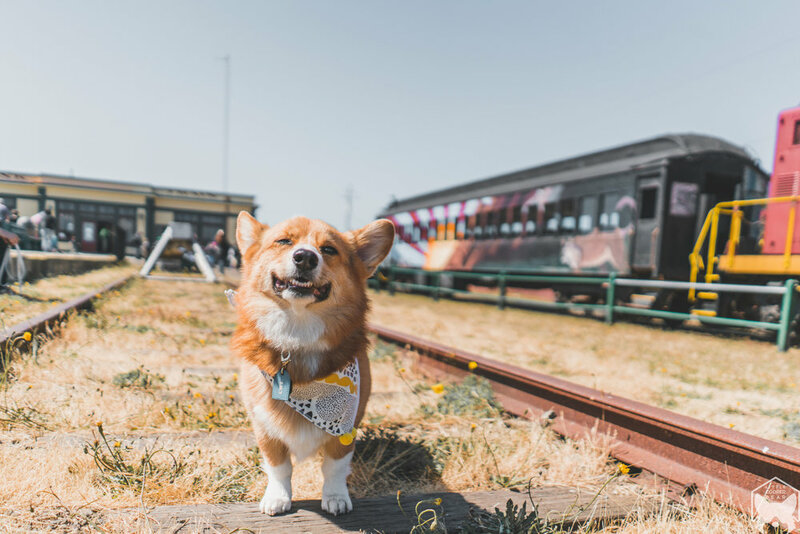 So definitely bring your four-legged pup for a fun train ride. Please keep in mind the safety of your dog and make sure that they are comfortable enough to ride on trains. Bring plenty of food and/or water as needed. They're in for a treat! The Skunk Train has been operating since 1885 and was originally built for transporting massive redwood logs. The nickname "skunk" referred to the pungent odor from fumes through gasoline-powered engines and pot-bellied stoves burning oil. The "Skunk" Train was coined in the 1925. We departed from Fort Bragg right before noon and the train took along Pudding Creek estuary. Around this area, there are common sightings of blue heron, osprey, ducks, egrets, and turtles! Although we didn't get to see any of these wildlife dwellers, the creek view and thick redwood trees was equally as amazing. boost to see as he's quite the short fella. 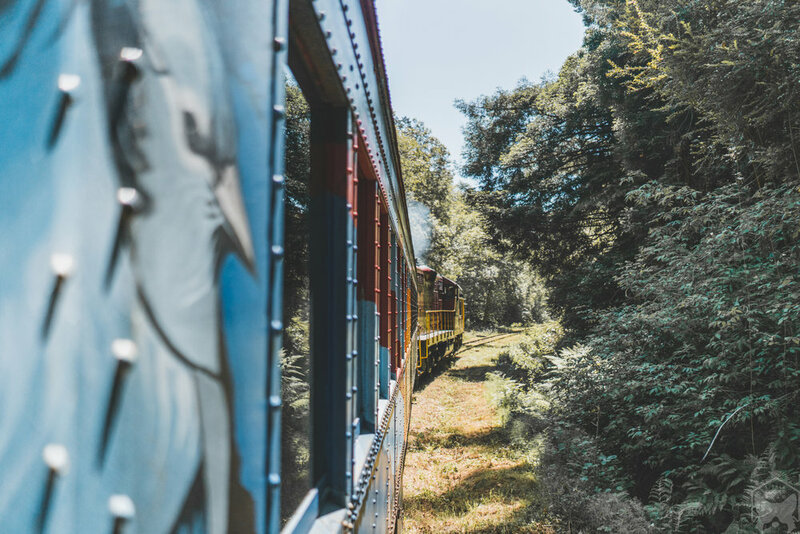 The Skunk Train took us along the Noyo River Canyon and then back to Fort Bragg. Overall, the ride was about one hour long and as it came to an end, we were pretty satisfied with the journey it gave us. After we hopped off the train, we decided to explore more of Fort Bragg before grabbing lunch at SeaPal. Fort Bragg is small but charming with a plethora of small shops that lined up along Highway 1. All the shops were very welcoming of Cooper and he took it to himself to say hello to every cashier we came across, in hope that they had a treat to share with him. And for our 2nd activity of the day, we headed towards Catch-A-Canoe to paddle down the Big River estuary. 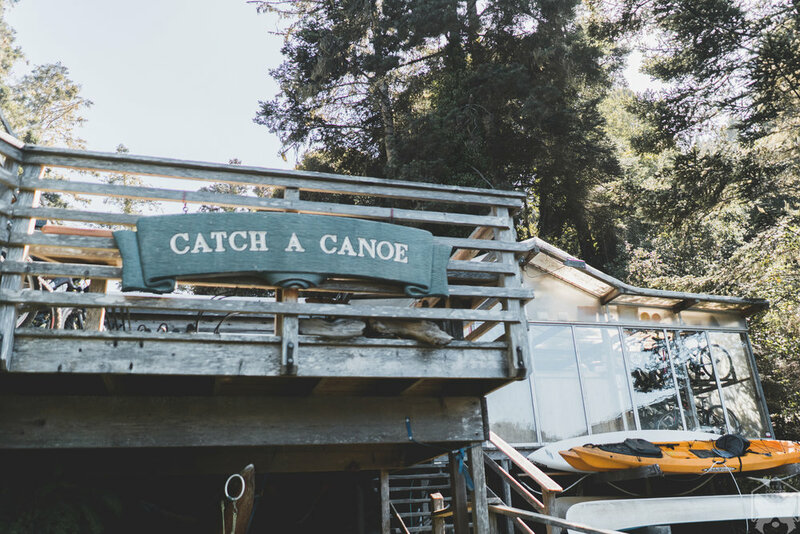 Their canoes are inspired by Polynesian technology in which they were built with a foot-operated rudder for easy control and has a efficient hull and float design to reduce efforts for beginner and advanced paddlers. 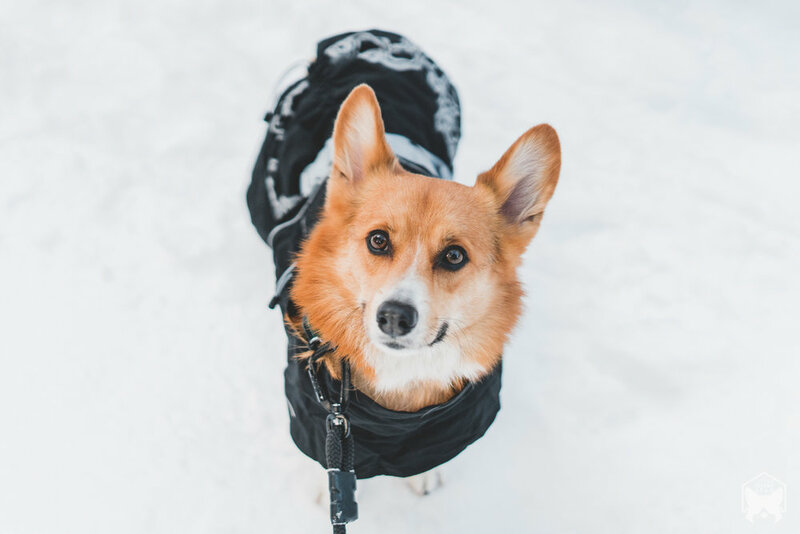 Our ride-or-die was the Canine Cruiser that was built specifically for humans and their hounds. It featured a raised padded floor that allows Cooper to sit and stand comfortably. In order to ensure stability for any movements while the canoe is out in the water, both side of the canoe has an outrigger float. And a little fun fact is that all the canoes are re-purposed old growth redwood! It didn't take Cooper long to get comfortable being on the canoe while both his parents paddled down the river. 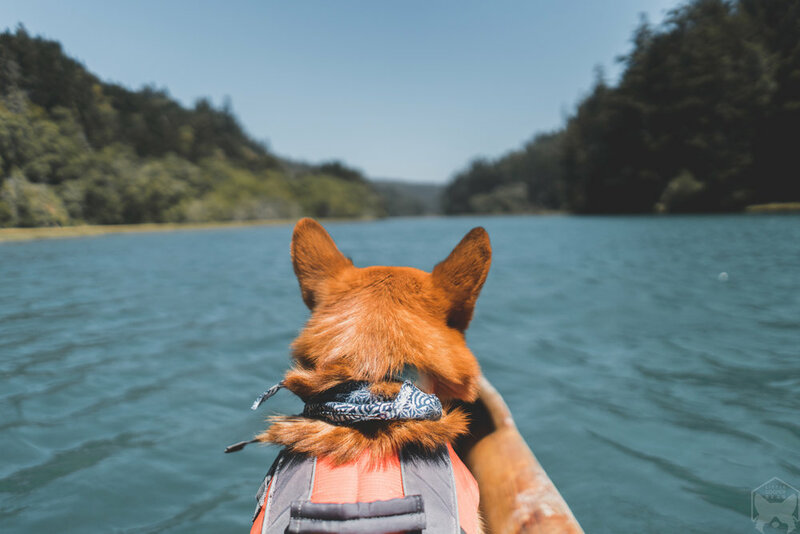 He zoned out at first while sitting in the front and ended up meditating, all while the humans were hard at work doing most of the paddling. Cooper got more confident later on and was able to find his balance (after his deep meditation) to stand up on the canoe and stood towards one side of the outrigger float. 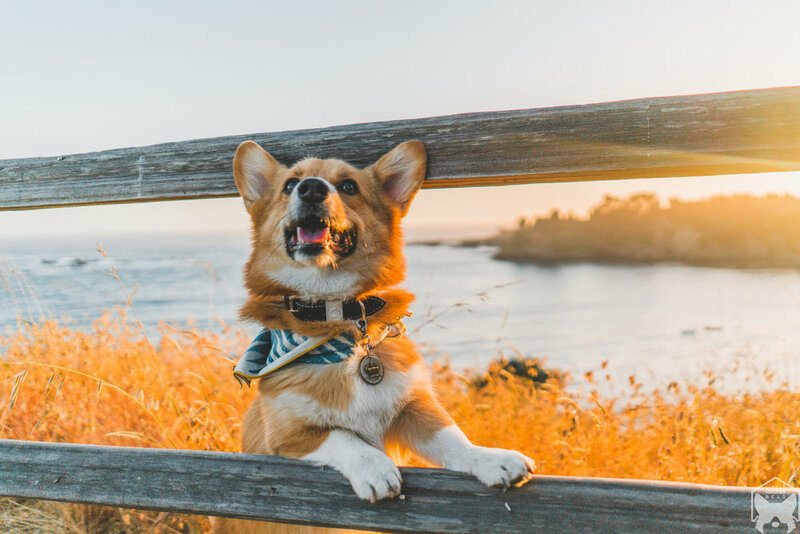 He was most definitely enjoying the view and excursion as much as we were. As we paddle further into the estuary, we came across a sea lion coming up for air but it immediately swam away as we passed by. Among other wildlife creatures we saw were mainly just ducks. The view was brilliantly picturesque and even though there were quite a few other people out on the river, it remained quiet and peaceful. Yes, I was most definitely humming the Pocahontas song "Just Around the Riverbend" as we continue to paddle. The journey back to shore was quite the arm workout since we were paddling against the waves. Luckily we managed to get back safe and sound, without anyone going overboard! This was one of the smoothest canoeing experience I've done and we felt safe the entire time while going up and down the estuary. Even though the waves was brutal on our arms, we thoroughly enjoyed the serene environment. Since we were done with our canoe excursion earlier than anticipated, we decided to head back to Fort Bragg to check out the well-known Glass Beach. 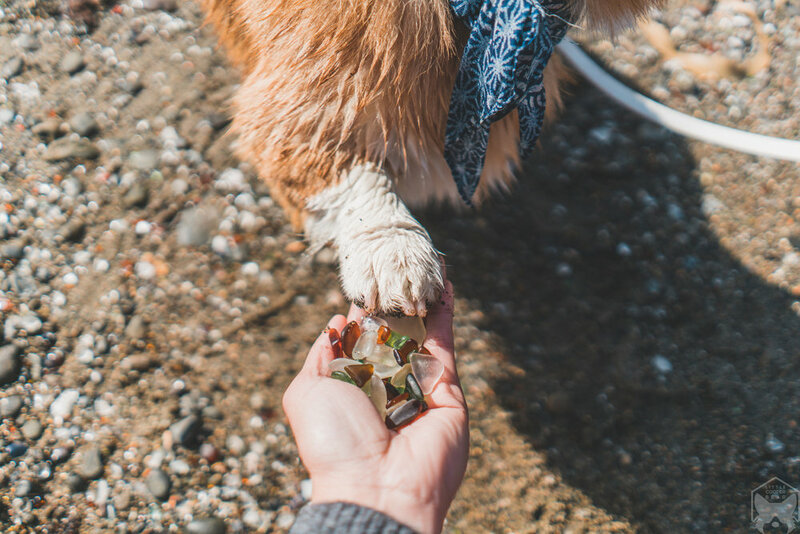 Getting to Glass Beach was easy and I was happy to find out that it is also dog-friendly! Cooper found a wading pool just his height and decided to go skinny dipping. I found a few pretty sea glass but didn't end up taking any home with me. After a long day out and about around Mendocino, we made it back to the Little River Inn for a delicious dinner. The dining experience at the Inn was superb and so was the service! 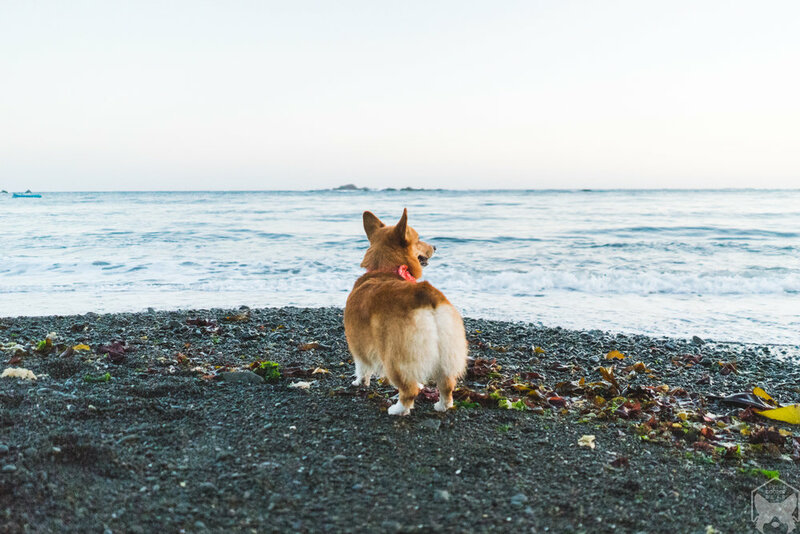 As a way to cap off the amazing weekend we had in Mendocino, we strolled down to Van Damme beach to catch another coastal sunset. The next day we had to say good-bye to this charming place. Everything that we experienced in Mendocino was nothing short of exceptional. The weather was fantastic, the people were friendly, and there was so much you can do in a county with a population of 400+. We'll surely be back again soon. Couldn't of ask for a more perfect and peaceful weekend getaway. A big thank you again to Chalkboard Communication for inviting us out to Mendocino for a wonderful weekend getaway. 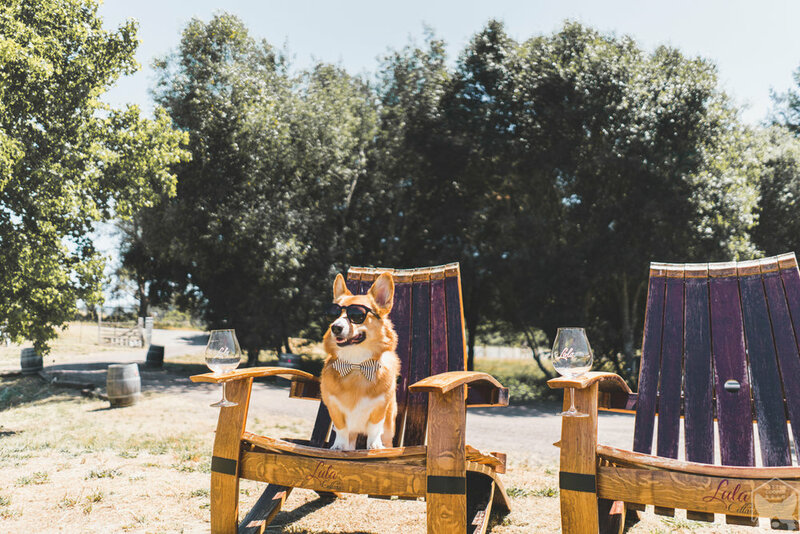 This post was in collaboration with Lula Cellars, Little River Inn, Skunk Train, and Stanford Inn Mendocino. 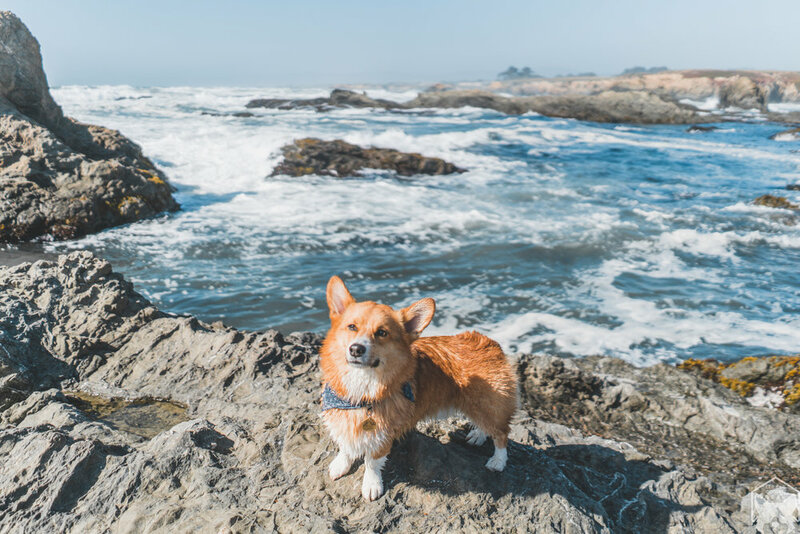 Thank you all for welcoming Cooper and his humans to experience this beautiful gem of a place.